Bookies back All Blacks to belt Springboks - AGAIN! 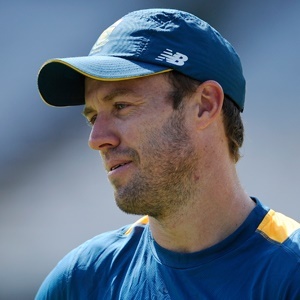 Cape Town - Proteas legend AB de Villiers has called out South African rugby fans for their treatment of the Springboks. The Boks are being given little to no chance of beating the All Blacks in Saturday's Rugby Championship clash in Wellington, while they are coming off two disappointing losses to Argentina and Australia. It has left coach Rassie Erasmus under fire with what has always been a passionate South African rugby public. On Friday, De Villiers had a message for those fans who had given the Boks and Erasmus a hard time this week. "For all those extremely well thought out jokes about the Boks, hope all of u got a lot of pleasure out of it," De Villiers posted on Twitter. "I just want to say that I back our boys tomorrow. Big mountain, but not impossible!" De Villiers, meanwhile, retired from all international cricket recently, meaning that the Proteas will be without him at next year's World Cup. Kick-off on Saturday is at 09:35 (SA time). For all those extremely well thought out jokes about the Boks, hope all of u got a lot of pleasure out of it. I just want to say that I back our boys tomorrow. Big mountain, but not impossible!